OMAHA, Neb. (KMTV) — Saturday night, Justin Timberlake performed for a sold-out crowd at CHI Health Center, showing love and support for those affected by flooding. 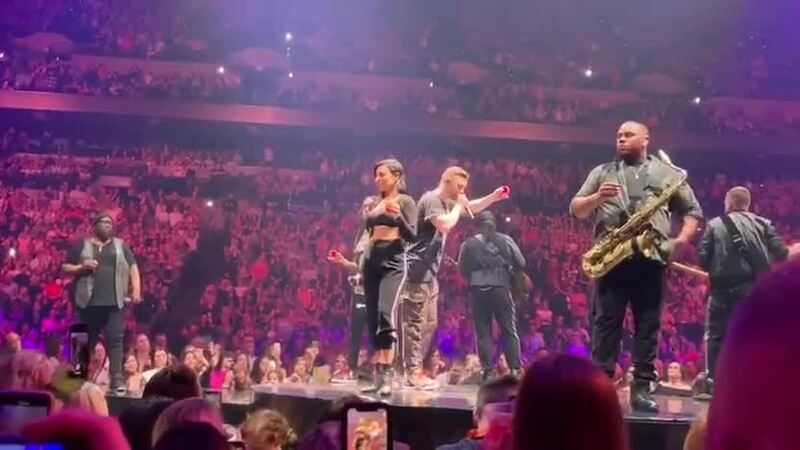 The 38-year-old pop star sported a Nebraska Strong t-shirt during the performance in front of one of the largest audiences to ever fit inside the arena. More than 16,500 people were in attendance, marking the highest grossing concert ever at the venue. Timberlake said a portion of the proceeds from Saturday's show would be donated to flood relief. He also promised a personal donation that his touring company, Live Nation, would match. Thanks to David Guinan for the video.